iFake Text Message is a great tool for creating authentic looking materials to engage students and shift materials design into a genre that’s both relevant and familiar. 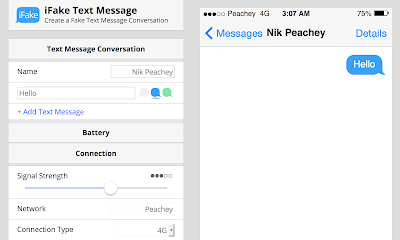 The tool enables you to create a screen image of a text conversation. Type your message into the field on the left and you will see it appear on the screen on the right. 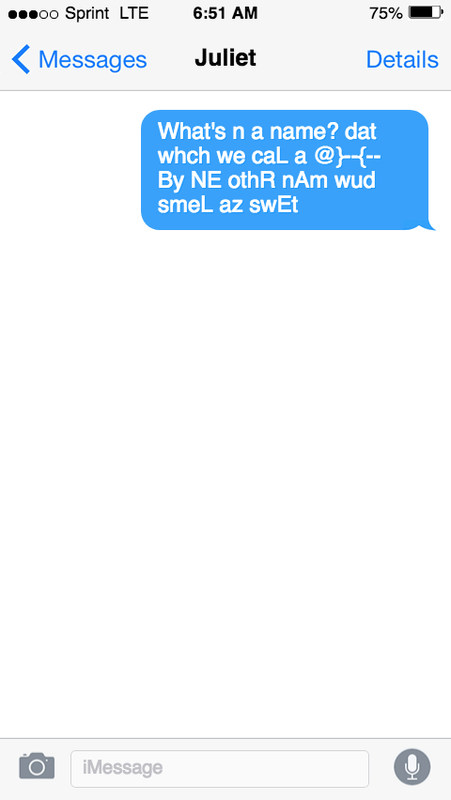 Then just add more text and build your conversation. You can customise most of the features of the screen to make it look more authentic. 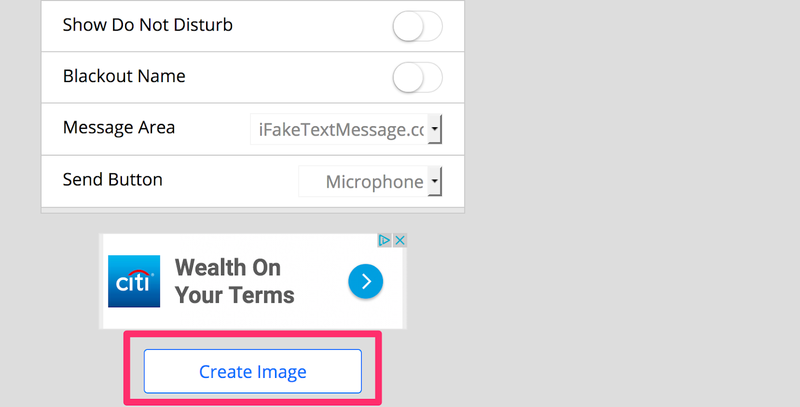 When you have finished just click on the ‘Create Image’ button. You can then download it and add it to your materials. Gapped dialogues - Create gapped dialogues and see if your students can work out what goes in the gaps. 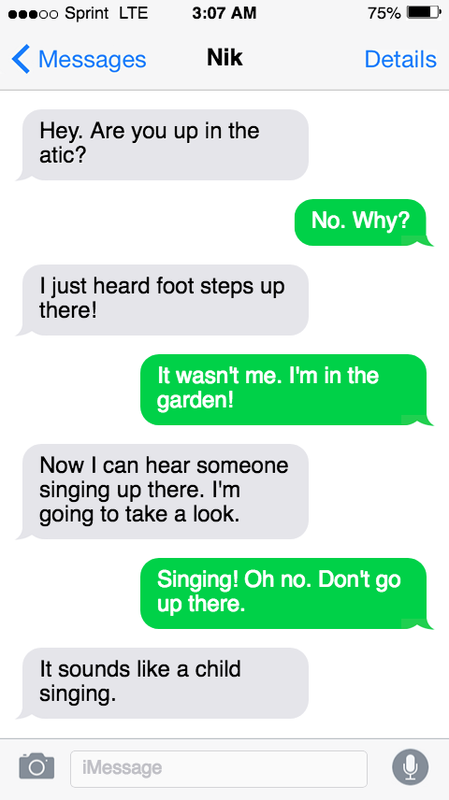 Conversation starters - Create the beginning of a conversation and get your students to work in pairs to continue it (They can create the next screen using https://ifaketextmessage.com/). Dialogue rebuild - Create a longer conversation that takes 4 to 5 screens, then give your students the screen images and ask them to put them in order. Reported speech - Use a screen image to practise reported speech. 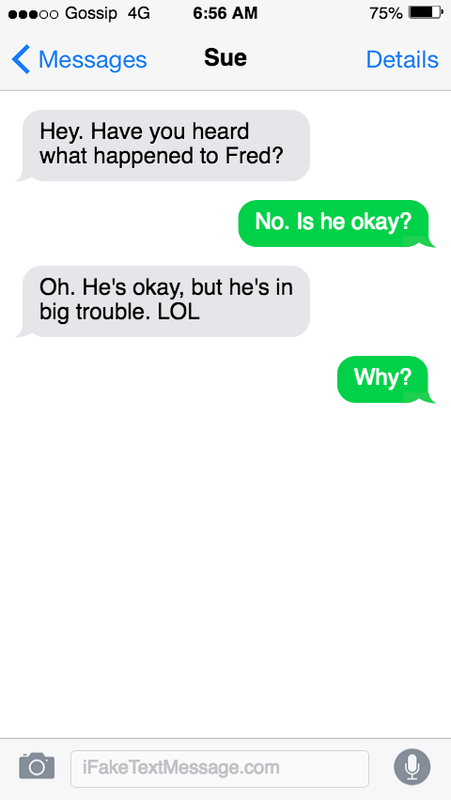 Students have to report what they read in the conversation. Famous conversations - Get your students to think of two famous people and then create a dialogue between them. 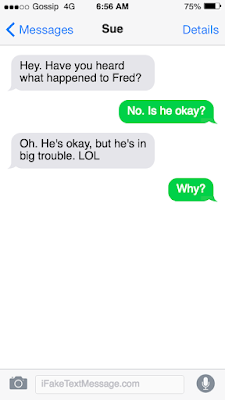 Finding errors - Recycle some of your students’ common errors by putting them into text conversations. Then get the students to try to find and correct the errors. Exploring cyber-bullying - Create a collection of screens that students can look at and decide whether they constitute harassment and discuss how they should respond. Writing prompt - Create the beginning of a dialogue from a horror / romance or even sci-fi story. Get the students to continue the story. Vocabulary record - Give the students 3 - 4 new words they have been learning and ask them to create a dialogue that includes the words. Shakespeare as SMS - Use https://transl8it.com/ to translate a few lines from a Shakespeare play into texting language and see if your students can decode them. I hope you enjoy these ideas and think of others to use with your students. If you'd like to find more activities like these check out my ebook - 20 Tech Enhanced Activities for the Language Classroom. Kapwing is a great free online video editor that makes a number of video editing activities simple. Trim the length to focus on specific sections. All you need is either your own video file or the link to a clip online. Go to the site, choose what you want to do and then use Kapwing’s easy interface to carry out your edit. 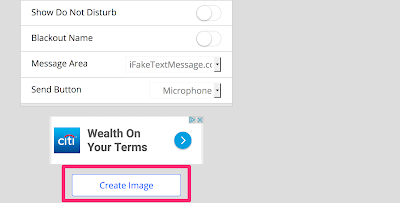 Once you have finished just click on create. The tool is free to use and just adds a small logo. If you want to get rid of the logo, then you can pay a minimal amount to download a version with your own brand or logo on. There are no subscriptions necessary so you just pay for the videos that you want when you want them. Here are some great activities you can do with these tools. 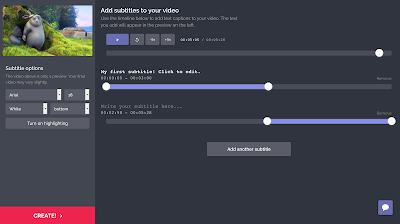 You can students use the tool to transcribe or translate a video. You can get them to add narrative to a silent video or cartoon. You can ask them to add what the people are thinking or feeling instead of the script. You can focus students on just a short part of a clip. 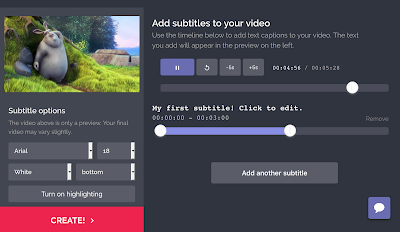 You can edit one clip into 3 - 4 sections and then get students to watch and put the sections in the correct chronological order. You can create a video gap-fil and take a section out of a video clip and see if students can guess what happened in the missing part. You can use short action clips and get students to think of memes to go on them. These could be quotes, advice, idioms or just something funny. Having a free browser based tool Kapwing can help you to create interesting and engaging materials for students, but it can also allow students to get some hands on experience of editing video and so help to build their digital literacies. I hope you and your students enjoy using Kapwing. 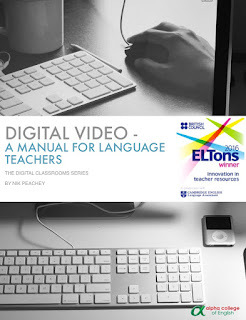 You can find lots more ideas, lesson plans tools, video tutorials and teaching suggestions in my award winning ebook - Digital Video - A Manual For Language Teachers. We spend a lot of time researching and talking about what teachers need from technology but we often forget that our students, who spend the years of their education watching various teachers struggling to get to grips with technology, have a unique insight in to what works for them and where things are going wrong. That’s why it’s great to see Cikumas, an LMS created by two students to produce the kind of classroom environment and activities they want as part of their learning process. Alexander Degenhardt and Noah Liebherr, developed Cikumas due to the frustrations they felt in their classroom. Although they experienced multiple online solutions as learners, they didn’t feel that these catered to the needs of students, so they took the opportunity to create their own solution. 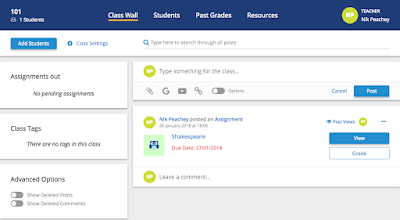 Cikumas is a very clean and easy to use LMS that allows teachers to create media rich interactive content, distribute it to their students either in class or for homework and then monitor their results and responses. Unlike many other LMS such as Moodle, the learning curve for Cikumas is pretty gentle and once you log in you should be able to create some interactive content for your students pretty quickly. When you first log in to Cikumas you go straight to the dashboard. Here you can see any active assignments that your students are working on as well as your calendar and your personal to-do list. 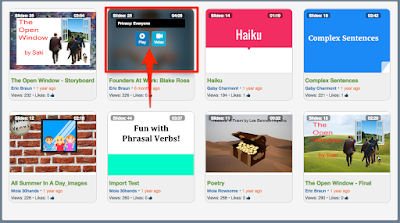 To start creating content and courses for your students just click on the ‘Library’ icon. 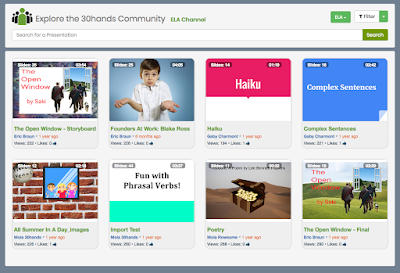 This is where you will be able to store and curate all of your lesson activities and materials. To create a lesson or activity just click on ‘Add New,' then give your activity a name, choose the topic area and add a description. You can come back and change these later if you need to. 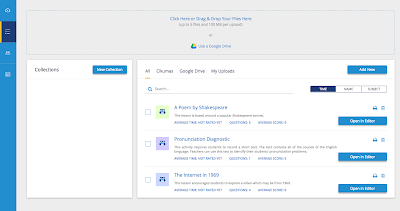 Now you can add four types of content to your lesson. These are Text, Question, Media or File. The text blocks have a simple to use editor that allows you to format any text content and add images and hyperlinks to external content. Media allows you to add the usual video, image or audio files, but also mathematics equations. When adding media you can do this either from your computer, your Google Drive or from online sources such as YouTube, or in the case of images, through a Google search. You will need to allow access to your Google account to do this though. 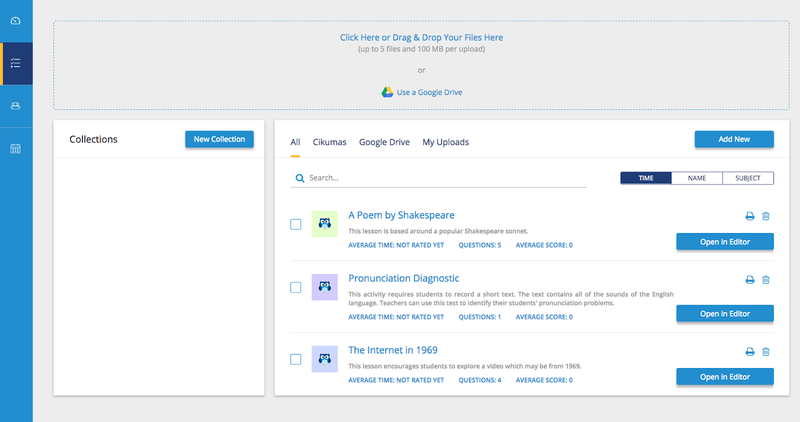 Adding files is equally as simple and you just drag and drop any file types you want student to access and they will be uploaded. Where Cikumas starts to get really interesting though is when you start adding question types. There are four main types of question you can add. Mutiple choice - These are the usual single select, multiple select, yes/no and true/false types. To create one of these questions you just click on the type you want and then add you question and answer options. You can also select how many points the students are awarded for a correct answer. Fill in the blanks - There are two kinds of blank filling question types. You can choose to create a text with gaps the students have to type into or you can select which words are extracted from the text and then students drag the words back in to the spaces. Classify - There are two types of classification question types. You can either get students to drag and drop text labels to images or they can order parts of a text. Free response - There are two types of free response. You can either get students to type an answer into an open field or they can record and audio response. These interactive question types are ideal for language learners and teachers and enable you to quickly create very professional interactive content. Once you have created your lessons and activities, you can go to ‘My Classes’ and create your classes and invite students to them. 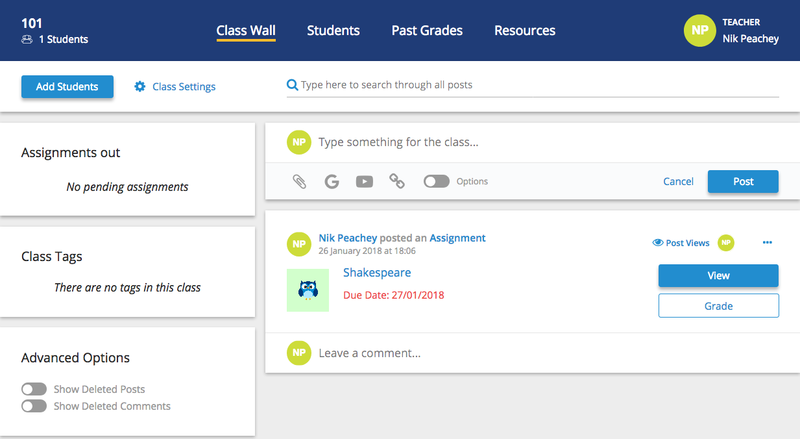 The ‘My Classes’ part of the site is where you will come to monitor your students results and grade their responses, but there is also a class wall where you can make announcements to the class and post and share interesting materials. This can help to keep students engaged with a wider range ad-hoc learning materials and keep them up-to-date on any course changes or assignments. Even as an experienced Moodle developer, I found that creating materials within Cikumas was much quicker and simpler. 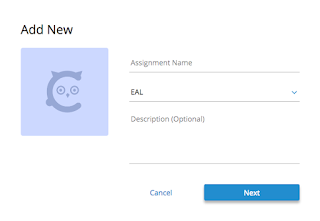 It doesn’t have the level of customisation that a platform like Moodle has, but for teachers who just want to get straight down to creating learning materials it’s a much simpler and more direct route to creating motivating learning that looks really professional and is easy to manage for both teachers and students. I hope you enjoy using Cikumas for your students and that it helps you to save some time and deliver interactive classroom and homework assignments. I’ve just been looking over the 30hands Pro app for the iPad. 30hands is a simple to use app and community for the development and sharing of instructional presentations and videos. The app itself enables you to either upload an existing slide deck, video or images from your computer , Google Drive or Dropbox , or create your own slideshow within the app using the drawing tools within the application. Once your slides have been created or added you can then record a narrative over each slide and also annotate the slides using the drawing features. Once your slide sequence and recording is complete you have a number of options for sharing it. You can export it as a video, save it to either DropBox or Google Drive or add it to the 30hands community site. The community site has a really wide collection of example presentations and you can either view these as individual slides with their recordings or watch them as video. If you are a community member you can also download the videos and the project files and this will allow you to edit, adapt and build your own version of the presentation for your students. This is a great tool to create flipped learning video content. There’s loads of variety in what you can do, from uploading and enhancing your existing presentations with audio and annotation to creating unique slides and integrating images and video. You can also use the app to create digital narrative using images from around the internet (Pixabay and Unsplash are two great places to find royalty free images) or you can use your mobile device to capture images and video and then add your own narrative voiceovers. This is also a great tool for capturing student project work and for enabling student to do project reports. They can just grab images or upload their work and then add a narrative voiceover explaining their learning outcomes. 30hands works as a native app on iOS or can run in the Chrome browser on other devices so it can also be used in the BYOD classroom. This is a great tool to enable teachers to create materials or to put in the hands of students to help develop their digital literacies and make learning tangible with genuine outputs that they can collect into a digital portfolio. I hope you enjoy using this app with your students.